The ashes of “Last Chance” singer Allen Collay made their long journey home to The Max lounge in Metry one Sunday afternoon in 2010, housed in a silver urn etched with a piano’s image, set onstage next to an unopened bottle of his beloved Heineken beer. Collay died – appropriately enough for a New Orleans R&B legend – on Fat Tuesday but – unlike kindred spirit Antoinette K-Doe a year earlier – 800 miles north in illness-imposed exile. 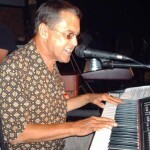 Numerous former bandmates of the soulful St. Bernard Parish singer-pianist turned out to pay tribute at the Woodlawn Avenue lounge, site of Collay’s last musical stand before deteriorating health forced his move to the remote town of Mexico, Mo., in 2000. Joining in the festivities — which served as the jazz funeral Collay always wanted — were legions of admirers who could probably remember Collay from any number of contexts: his childhood Sunday-afternoon singing stints in the 1950s with Dixieland clarinetist Tony Almerico’s band at the Parisian Room; his 1959 smash tearjerker, “Last Chance”; his 1980s flirtation with stardom as a member of gold-record country-rock supergroup Atlanta; and his eventual return home to Louisiana after decades of exile, where he mesmerized nightclub crowds from the French Quarter (in spots such as Jaeger’s House of Seafood and the Al Hirt-owned Jelly Roll’s) to Metairie (at the original Chalet, later replaced by Mo’s Chalet after a fire). It was at the Chalet in particular that Collay’s music had burned into the brain cells of many a local music lover. Hang out long enough at any Metairie watering hole catering to the older crowd and soon one gray-haired sentimentalist or another will start rhapsodizing about Collay’s sizzling sets at the Chalet’s late-night jam sessions. The line of brass players and other walk-ons would be stretched out the door waiting for a chance to join Collay and his R&B runnin’ pardners, like Roland “Stone” LeBlanc, Bobby Lonero, and Roy “Big Daddy” Wagner. By the early 1990s Collay had returned to the New Orleans area, living for a time on a St. Bernard relative’s houseboat at Delacroix Island, and resumed playing in the place where his career had begun – only this time as a “piano professor” in the Mac Rebennack/Ronnie Barron/Skip Easterling mold. But Collay was in his element playing to Metairie’s “late-night” subculture at the Critic’s Choice lounge in a gig that would run weekend nights from 1 a.m. to 4 a.m. A hut-like dive with its particle-board walls and high-school graduation photos adorning the back room, Critic’s Choice was a magnet for a stunning array of old-school characters who were still young enough to ramble all night long on their steady diets of nicotine, booze, and music: The toupéed Frankie from Frankie and Johnnie’s furniture store (“Go see the Special Man”); longtime Lafitte’s Blacksmith Shop pianist Johnny Gordon; the trumpet-playing Irish cut-up Al McCrossen; and former flamboyant Metairie nightclub owner/singer Frankie Brent, then in the grips of a musculoskeletal disorder that seemed to have twisted his body in perpetual pain – yet he still occasionally took the mike to sing a hair-raising version of “These Arms of Mine.” Any number of musicians – whether pros or merely amateurs with one or two standards to sing – would show up to jam till the sun came up, with Collay cracking jokes or crying out “Play some Dixie!” to egg the guest soloist on. Collay’s local performance schedule peaked in the late 1990s with an appearance at the French Quarter Festival. 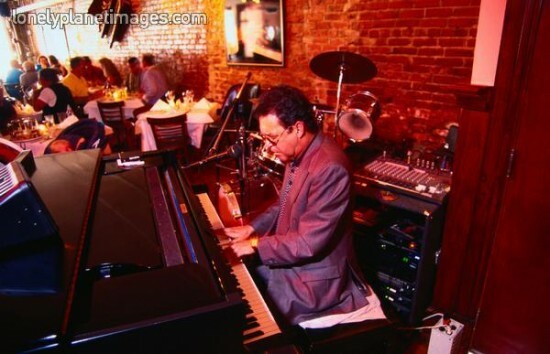 Chef Jaeger also opened a supper club a block away from his restaurant and featured Collay leading a “history of New Orleans music” revue with players such as Staehle, chanteuse Ellen Smith, bassists David Lee Watson and Al Arthur, and guitarist Cranston Clements. But by then Collay’s health began to sour, dogged by diabetes and mini-strokes. The Max lounge in Metairie was the site of Collay’s final regular music residency, a weekend graveyard shift with a tight jazzy trio featuring Staehle on drums and Ray Shall on Hammond organ. Numerous guests dropped in on Collay’s late-night sessions, but one illustrious visitor stands out in particular. His former producer, Allen Toussaint, happened to be attending an anniversary showing of Stevenson Palfi’s film “Piano Players Rarely Ever Play Together” at the New Orleans Museum of Art. 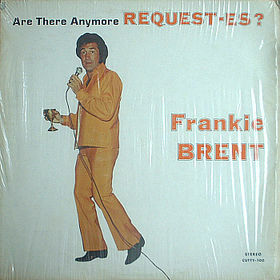 This writer approached Toussaint – aware that the funk master had produced Collay’s early singles – and floated Collay’s name. His eyes leapt. “Where is he playing?” Toussaint asked, looking around almost frantically to borrow a pen for directions to The Max. When I finally showed up there hours later, I heard from awed witnesses that Toussaint had indeed just left the building after checking out his former protégé’s first set. The ailing Collay then moved north to Missouri with his girlfriend, and soon his health problems reached a new low when both legs had to be amputated. Collay returned to New Orleans in August 2004 for a benefit to help defray his expenses. A who’s who of New Orleans musicians showed up to take the stage at the Harahan Lions Club, led by Frankie Ford and Skip Easterling. Now gone, Collay is truly an unsung hero of New Orleans rock ‘n’ roll, and “one that got away” from the Ponderosa Stomp. For Michael Hurtt’s Offbeat magazine profile of Allen Collay, click here. this is my father. and it it very nice to read this. thank you…. Do a search on YouTube or Google and you’ll surely find it. When I was a kid 16. This was my favorite song, still is ,! Allen was a Huge talent…I was his 6th wife, he was my 1st husband…and last! 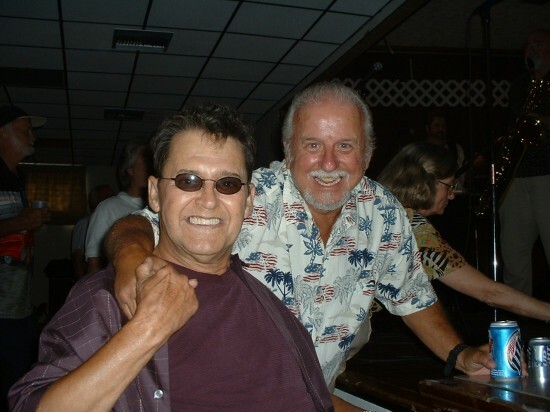 we were both musicians..that’s how we met in the mid 70’s..he was fascinating..in Atlanta, local musicians refered to him as ” the king of feel!” Definetly one of a kind person, and musician..